MiniChandnichowk is a one-stop shop for your wedding favours. From colourful potlis to Gujarati umbrellas to wooden carved boxed, you name it and they have it all. You can even get customised gifts made for the wedding favours, like brooches, bridesmaid survival kits, and lots more. 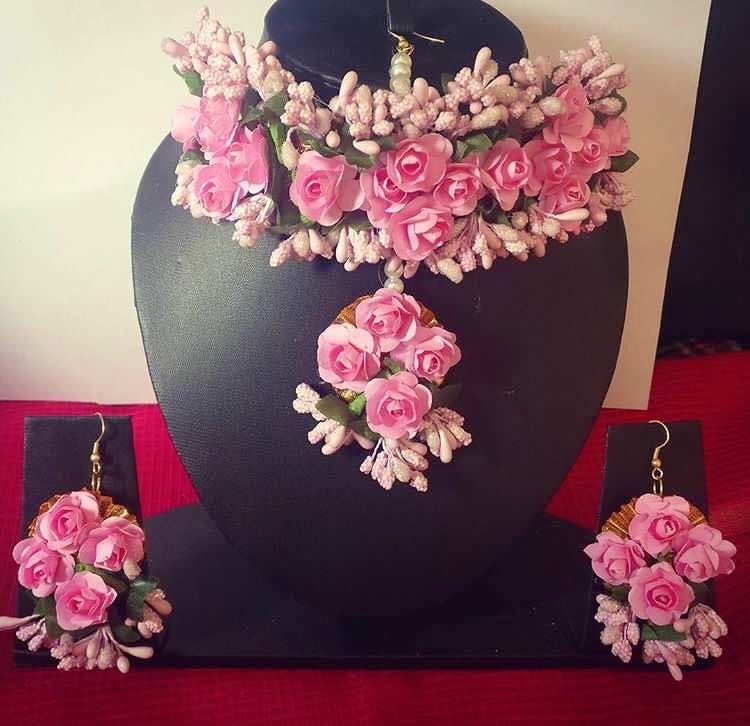 Along with this, they have a wide range of elegant floral jewellery, you can get the entire set or choose an individual piece. You can also get your hands on some stunning junk jewellery which is a great gifting option for all the bridesmaids. The favours are priced reasonably depending on the item type and the quantity ordered, if you order in bulk, you get a certain discount. The jewellery ranges between INR 150 and INR 750. They even do home-made chocolate boxes in flavours like butterscotch, dark chocolate, milk chocolate, mango, blueberry, and hazelnut for weddings, birthdays, and other occasions. Each box of 12 assorted chocolates cost around INR 170 to INR 200. They do not have a website yet but you can get in touch with them through Instagram, Facebook or even a call.